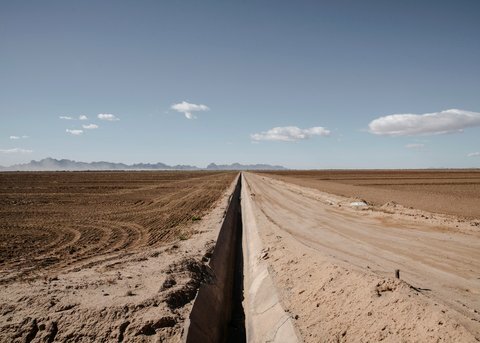 A maverick hedge fund manager thinks Wall Street is the answer to the water crisis in the West. by Abrahm Lustgarten, ProPublica February 9, 2016 This story was co-published with The Atlantic. On a brisk, cloudless day last January, Disque Deane Jr. stepped out of his SUV, kicked his cowboy boots in the dirt, and looked around. He had driven two hours from Reno on one of the loneliest stretches of interstate in the United States to visit the Diamond S Ranch, just outside the town of Winnemucca, Nevada. Before him, open fields stretched all the way to the Santa Rosa mountains, 30 miles away. But the land was barren. The fields had been chewed down to the roots by cattle, and the ranch’s equipment had been stripped for parts. A steel trestle bridge lay pitched into the Humboldt River. Abrahm Lustgarten’s five-part series “Killing the Colorado” inspired Discovery Channel to adapt the reporting into a feature documentary. 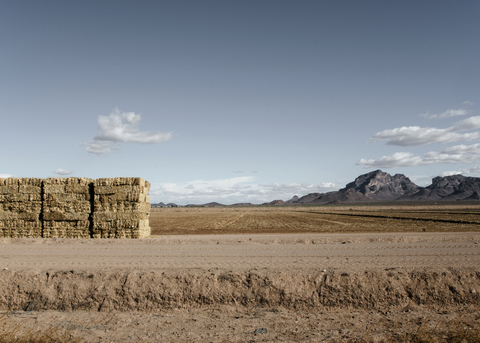 That documentary, “Drought,” will air in 2016, and the men behind Water Asset Management will be among its subjects. Surveying the dilapidated structures and the gopher-riddled soil, Deane saw something few others might: potential. The ranch and an adjoining property, totaling about 11,400 acres—14 times the size of Central Park—were for sale for $10.5 million, and he was thinking about buying them. Deane is not a rancher or a farmer; he’s a hedge-fund manager who had flown in from New York City the previous night. And as he appraised the property, he was less interested in its crop or cattle potential than in a different source of wealth: the water running through its streams and coursing beneath its surface. This tract would come with the rights to large amounts of water from the region’s only major river, the Humboldt. Some of those rights were issued more than 150 years ago, which means they outrank almost all others in the state. Even if drought continues to force ranches and farms elsewhere in Nevada to cut back, the Diamond S will almost certainly get its fill. Deane looks at the drought, the perennial mismanagement of water in the American West, and the region’s growing population, and believes a reckoning is coming. Rising demand and shrinking supply virtually guarantee that water’s value will increase. Anticipating that day, he’s racing to buy up as much of it as he can. But the allure of all that land was irresistible. “The western half of the United States would sustain a population greater than that of our whole country today if the waters that now run to waste were saved and used for irrigation,” President Theodore Roosevelt declared in 1901. The next year, he signed the Reclamation Act, paving the way for the creation of the federal bureau charged with reshaping the western landscape. Within a year, four federal dams and a major river-diversion project had been planned. 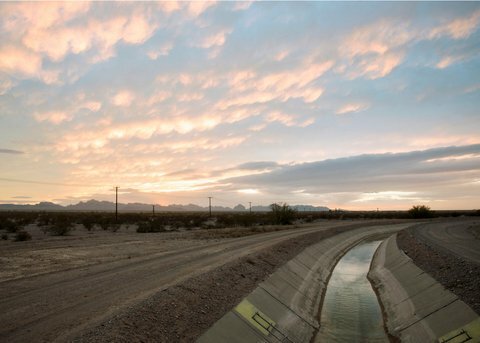 In the ensuing decades, concrete barriers were erected across rivers from Montana to Mexico, magnificent canyons were flooded, and tunnels and canals were built to reroute water under the Continental Divide and across the Mojave and Sonoran Deserts. By the 1980s, the Colorado River had been turned into one of the world’s largest plumbing systems—a web of infrastructure designed to distribute the region’s water as widely as possible and encourage settlers to move west and take advantage of it. It worked. Since 1960, tens of millions of people have migrated toward the Pacific, settling in Las Vegas and Tempe and Boulder. Denver has tripled in size. Phoenix, having added some 3.6 million people, has more than quintupled. 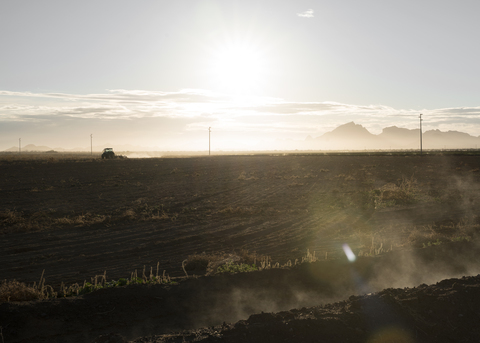 Today, one in eight Americans depends on water from the Colorado River system, and about 15 percent of the nation’s crops are grown with it. But the demands on the river were never sustainable. In 1922, the seven states in the Colorado River watershed signed a compact dividing its water. With little historical data, they calculated the river’s capacity after a decade of unusually wet conditions. In an average year, the river flows with less water than the states and Mexico—which was later promised its own share—count on taking out of it. Since the current drought began, in 2000, that shortfall has averaged 25 percent. Instead of adjusting their allotments, states have drawn down the nation’s largest reservoirs, which are quickly draining. Even this winter’s El Niño weather pattern won’t bring enough rain to restore the region’s supply, and federal officials are bracing for the possibility that Lake Mead, the largest reservoir in the U.S., could reach a record low as early as next year, which would trigger emergency rationing. To determine who gets water and who doesn’t, states rely on a system that originated more than 150 years ago—when water was plentiful and people were scarce. During the Gold Rush, prospectors staked claims along western streams, only to find themselves robbed of the water they needed in order to mine as competitors upriver laid new claims and diverted the stream’s flow. The courts, hearing the miners’ grievances, settled on a system called “prior appropriation,” which promised rights to use a share of water based on who got there first. Prior appropriation became the foundation of western water law, and it established order in the West. Today, though, state water laws are largely to blame for the crippling shortages. Because water rights were divvied up at a time when few cities existed west of the Mississippi, some 80 percent of the region’s water goes to farmers, leaving insufficient supplies for growing cities and industries. And farmers must put all their water to “beneficial use” or risk losing their allotment—a rule that was originally intended to prevent hoarding but that today can encourage waste. 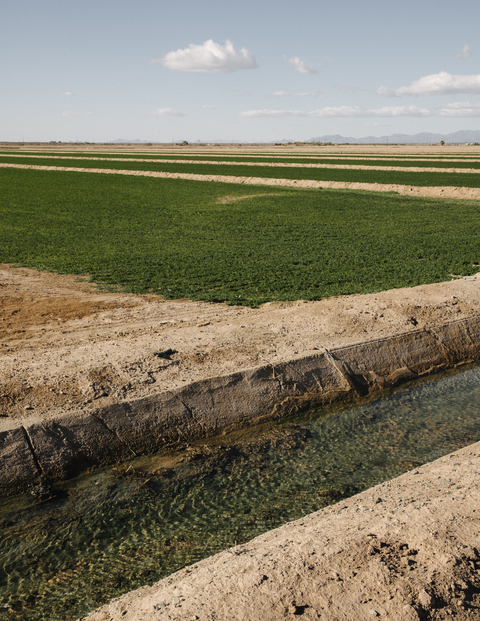 Many farmers have not adopted modern technology that can cut water use by up to 50 percent, in part because they need to protect their water rights. Farmers might prefer to sell their extra water rather than letting it soak into the ground, but there, too, the laws get in the way. Not only is it difficult to prove that water sales satisfy standards for beneficial use, but they are generally forbidden across state lines. Where intrastate trades are allowed, they are conditioned on not causing harm to other rights holders in the surrounding area. That’s a laudable intention, but it forces farmers who want to sell their water to spend thousands of dollars on engineers and lawyers. The West’s cities, meanwhile, are forecast to add at least another 10 million residents over the next three decades. Where the water to serve those people will come from is anyone’s guess. City and state leaders have seriously discussed building a pipeline from the Missouri River, seeding clouds with silver iodide to create rain, and towing icebergs from the Arctic. Their most pragmatic hopes lie in desalinating ocean water, an expensive and energy-intensive process. In theory, states could step in and reallocate water according to modern economic priorities. After all, the West’s millions of acres of farmland account for less than 2 percent of the region’s economic output, and moving just 10 percent of the water off farms would likely resolve current shortfalls. Few things are more controversial in the West, though, than even minor meddling with water laws. Canceling or redistributing rights that are more than a century old would be political suicide in a part of the country where personal property is sacrosanct and farmers wield a lot of influence. As water shortages have slowly worsened over the past two decades, politicians have done little to avert the crisis. Where government has failed, Deane believes capitalism offers an elegant solution. Allowing people to buy and sell water rights is a more expedient way to redistribute the West’s water, he argues. Waste would be discouraged, water would shift to where it’s needed most, and farmers would be compensated. He’s convinced that this is our best hope for ending the West’s water shortage—and that it could make him and his investors very, very rich. When Disque Deane Jr. first said he wanted to get into the water business, his father was skeptical. Disque Sr. was a legendary New York real-estate investor who financed Brooklyn’s Starrett City. He raised Disque Jr. with the boy’s mother—a fashion consultant and the second of his three wives—in an Upper East Side townhouse and sent him to the tony Trinity prep school and then to Duke University. (He would later pledge $20 million to fund an institute at Duke to study the future of the human race.) A famous hardass, he had no patience for stupidity or mistakes. Disque Jr. saw himself working in foreign affairs. While still at Duke, he applied on a whim to join the CIA but was roundly rejected. “The minute I walked into the interview room he said, ‘You don’t have a chance,’ ” Deane told me. “ ‘We need people who blend into the wall. We don’t need people who stand out.’ ” Rather than become a spy, he got an internship analyzing arms control at a London-based think tank. About a year later, looking to make more money, he decided to go to business school. After graduating, he took a job as a trader at Lazard, the global investment bank where his father had been a senior partner. In 1991, he tried to start an online real-estate company, an idea before its time. Two years later, Deane found what would become his life’s work when he read an article in Forbes about an investor who specialized in water. He ran models calculating the past performance of companies whose business was tied to water—pipe manufacturers, treatment facilities, utilities—and found that they beat regular Wall Street indices. He read every book he could get his hands on about hydrology and geography and western politics, and grew in his conviction that he’d tripped onto a prime investment strategy. “For me, this was perfect information,” he told me, “raw knowledge” no one else seemed to have. “There were very few people who thought I was rational,” Deane said. He had an enviable life in Greenwich, Connecticut. When he packed up for Fort Collins, Colorado, to work with the water investor he’d read about in Forbes , a man named Al Parker, his mother cried and his wife, an Argentinian he’d met in Spain, returned to South America, leaving Deane to fly down for visits. But Deane saw opportunity: a resource everyone needed but almost no one valued. His first big investment, in 1995, was an old mining tunnel in central Colorado that came with the rights to a large volume of water. Deane and Parker named their new company Vidler Water, after the tunnel, and set out to sell water to Colorado’s eastern cities. With the Vidler purchase, Deane and Parker had bought the rights to water that flowed down a creek from high in the mountains in Summit County, Colorado—water that residents had been using for years to maintain their lawns and wash their cars. One evening, Deane and Parker held a meeting and explained that locals could continue to take their fill, for a fee. Deane says he thought he and Parker were fixing a problem by making water legally available to people who needed it. But the more Parker tried to explain, the angrier the crowd got. In the back of the room, Deane opened a window, swung his legs over the sill, and dropped into the parking lot, where he pulled Parker’s Volkswagen Beetle around to scoop him up. Parker told me Deane is honest and highly intelligent, but also intense and opinionated—not always the easiest person to work with. Deane left Vidler in 1999 and struck out on his own. In 2005, he returned to New York and teamed up with an old friend he’d met when he was in college, Matt Diserio. A former lacrosse player from Connecticut, Diserio, a self-described “information junkie,” had thought about becoming a journalist but decided to work on Wall Street instead. They called their company Water Asset Management and brought on a third partner to manage the operations, a former colleague of Diserio’s named Marc Robert. The three had skied together long ago in Courchevel, France. They pooled about $3 million of their own money and launched a hedge fund devoted to buying and selling just about anything having to do with water. 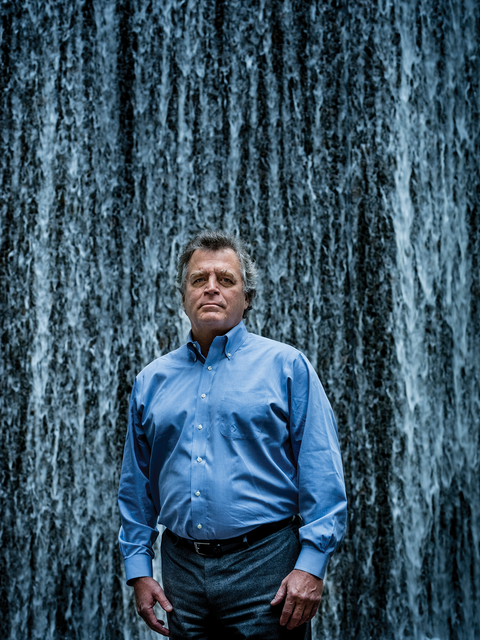 Diserio focused on investing in stocks of companies that stood to profit as water became increasingly scarce; Deane set out to get as close as possible to buying the water itself, scouring parts of the country where water rights could be traded. They shared office space in Midtown Manhattan with a group of lawyers who handled Hasidic divorces, and for two years none of them took a salary. America consumes more water per capita than just about any other country—more than three times as much as China, and 12 times as much as Denmark. People in the driest states use the most: Residents of Arizona each use 147 gallons a day (not counting agricultural water or water used to generate power), compared with just 51 gallons in Wisconsin, largely by filling swimming pools and watering lawns year-round in the desert. This extravagant use continues despite scarcity because water is kept artificially cheap. The water bills that Americans pay cover a mere sliver of the cost of the infrastructure that delivers water to them. Some city users pay $1 for 1,000 gallons. On farms, water is even cheaper. One thousand gallons of agricultural water in western states can cost as little as a few pennies. Water markets promise to correct this: When you allow water to be bought and sold more freely, its value begins to match its importance, waste becomes expensive, and the West’s water problems begin to solve themselves. Water has been bought and sold in parts of the United States for decades. But arcane aspects of state laws have kept trading from becoming routine enough to make much difference in the overall supply. If Deane gets his way, barriers to trading will be removed and a market will form that can shift water to meet changing needs almost as quickly as the stock exchange moves shares. Australia has already instituted a water market similar to what Deane has in mind. By mid-2006, Southern Australia’s Murray-Darling River Basin had seen a decade of drought. Then, unexpectedly, the flows of the Murray dropped farther, falling to 40 percent below the previous record low. As in the U.S., water trading had for decades been limited and cumbersome. But as the drought worsened, the government backed a cap-and-trade system. “We have a very simple rule, which is that if somebody wants more water, you have to figure out who gets less,” Mike Young, a professor of water and environmental policy at the University of Adelaide and an expert in water trading, told me. As trading became more common, the market began to arbitrate that decision. In dry years, the price of water on Australia’s market rose, but so did the number of trades, showing that people used the market to move water to where it was needed—and valued—most. Water-intensive crops such as cotton and rice were temporarily phased out as the water needed to grow them became more valuable than the crops themselves. In the western U.S., a consensus has begun to emerge that following Australia’s example is a good idea. In 2012, the Western Governors’ Association issued a report supporting states’ efforts to promote new ways of transferring water. Cities, too, are putting their weight behind trading. 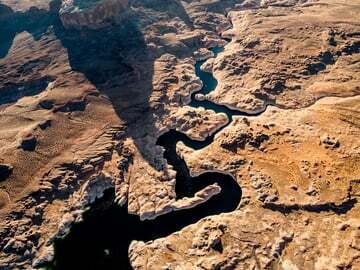 Even the nonprofit Environmental Defense Fund cautiously supports the idea: The organization joined other groups in purchasing Colorado River water in 2014 for the sole purpose of letting it flow. 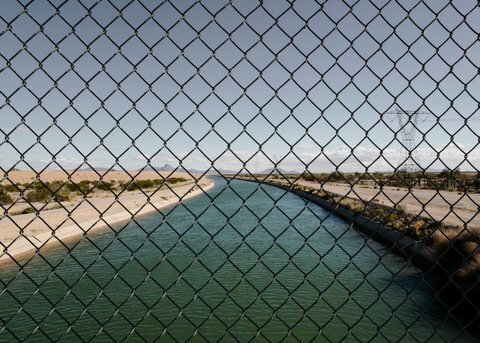 The river reached Mexico’s Sea of Cortez for the first time in 16 years. But one problem with developing a market for trading water is that many farmers—the people who control most of the water—are against the idea. 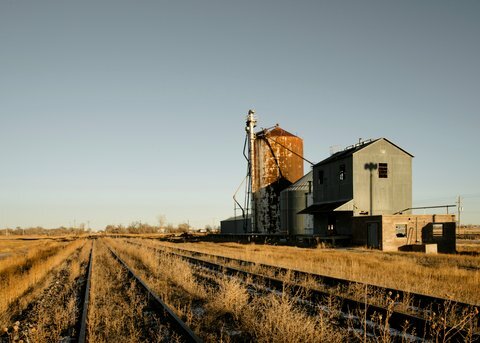 To understand farmers’ opposition, one has only to look at the example of Crowley County, in southeastern Colorado, once one of the nation’s most fertile agricultural areas. A cannery preserved tomatoes before shipping them on the Missouri Pacific Railroad to markets across the country. Sugar City, a town of 1,500 people so manicured that everyone’s lawns had to be trimmed in the same direction, was home to National Sugar, which employed hundreds of people. Ordway, the county seat, had two car dealerships, three grocery stores, a bustling JCPenney department store, and a movie theater that played family films on Sunday nights. Crowley County relied on water diverted from a tributary of the Colorado River near Aspen, 200 miles away, in order to supplement the Arkansas River. Farmers owned shares in ditch systems and reservoirs that distributed the water, and some 60,000 acres of farmland were cultivated with it. 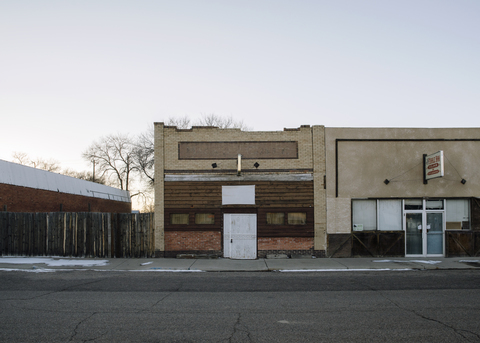 But in the 1960s, the growing cities of Pueblo, Colorado Springs, and Aurora purchased a large portion of water rights from Crowley farmers, and all of that began to slowly slip away. When Foxley Cattle, which had enormous land holdings, made a deal to sell its water rights to Colorado Springs in 1976, the area’s decline went into high gear. The sale had two immediate effects: It dried up thousands of acres of pasture by permanently diverting a huge portion of the region’s water, and it opened farmers’ eyes to the incredible cash value of the water they had left. The offer was like a breach in a dam. Aurora also bought up almost all the water in another ditch system near the town of Rocky Ford, just across the county line. Pueblo West, 60 miles away, bought water to serve houses on just-constructed cul-de-sacs stretching all the way into the foothills of the Rocky Mountains. As more houses were built, the value of the remaining water in Crowley climbed even higher, reaching $10,000 a share. Orville Tomky, a 10th Mountain Division soldier who had farmed in the area since shortly after World War II, tried to resist as the pressure mounted. “My wife every night at supper would say, ‘When are we going to sell the rest of that Twin Lakes water so we can have a lot more money?’ ” he told me. One night he divided up the water rights, giving 20 shares to each of his four children, five shares to each of his five grandchildren, and 30 shares to his wife. Selling the shares put some of the kids through graduate school, gave them down payments for their own homes, and paid for a family ski lodge in the mountains. The dead land has led to a sort of environmental catastrophe. The wildlife is all but gone. Few birds chirp. With nothing to pollinate, bees have abandoned their colonies. Crowley was once a paradise for hunters, Tobe Allumbaugh, a county commissioner, told me. 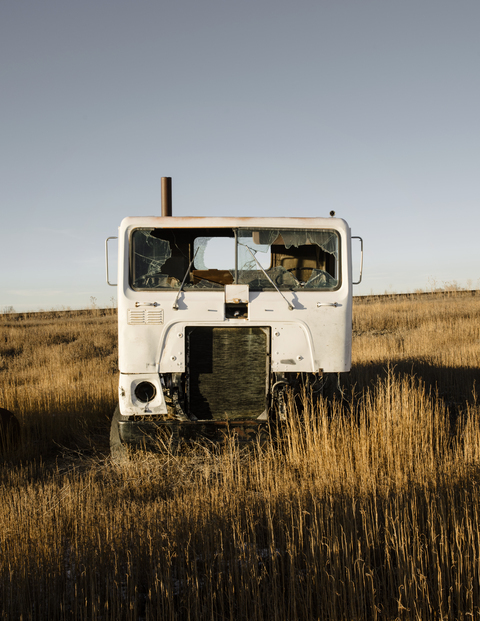 Today “you could wear out a pickup truck and never see a pheasant.” Decades of farming have left the soil brittle and sapped of its natural nutrients; now that it’s been abandoned, the land won’t simply heal and return to its natural prairie state. In every direction, empty fields and pastures extend for miles. The wind in this part of Colorado can be merciless, and when it rakes across unfarmed fields, it scours loose soil and moves it. Another Crowley commissioner, Frank Grant, told me about the haboobs, huge black clouds of sand, that blow in, piling tumbleweeds against buildings and making it difficult to see across the street. The dirt piles up in drifts, blocking roads, filling gutters, and burying windshields. “We’ve essentially just turned into a desert,” Grant said. Crowley County may be a worst-case scenario, but it is hardly unique. Even in neighboring counties, new water deals are being proposed all the time. To be sure, some of these sales have given farmers new income that helped keep them afloat—or allowed others who wanted to leave farming to cash out. But Crowley reveals a broader risk. Could water sales that today appear logical and efficient one day come to seem shortsighted? Western states have already retired hundreds of thousands of acres of farmland as cities have built on them or taken their water. Once water is moved off a farm, that land is unlikely to ever produce crops again. Water rights are difficult to buy back—Crowley’s farmers told me they can’t afford to do so—and in many places the land is developed, filled with houses and parking lots and strip malls. “We are actually dismantling our agriculture and the food infrastructure,” says Pat O’Toole, the president of the Family Farm Alliance, a grassroots organization that advocates for western agricultural interests. The river that sustains 40 million Americans is dying — and man, not nature, is to blame. 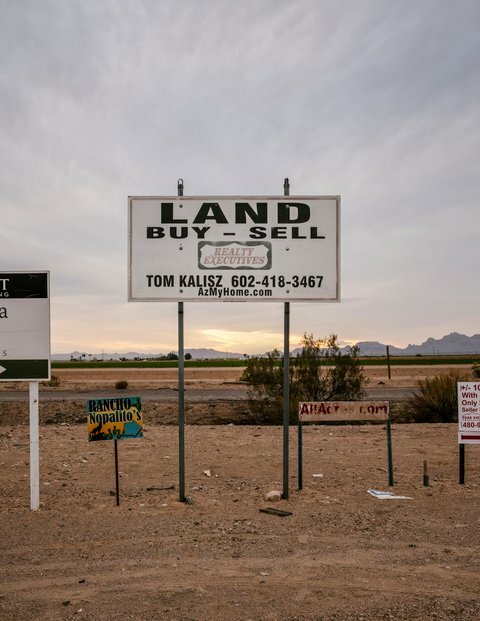 The United States can probably afford to lose some of its farmland. But if left unchecked, these deals could begin to threaten the food supply. The United Nations’ Food and Agriculture Organization projects that food production globally will have to increase by 70 percent by 2050 to support an expanding and increasingly affluent population, and it warns that urban expansion into rural land is putting food production at risk. And, of course, growing more food requires more water. In theory, Americans could simply eat less meat: A vast majority of the West’s water is used to produce feed for cattle, and data from Water Footprint Network, a Dutch NGO, show that if Americans gave up meat one day a week, they would save an amount of water equivalent to the entire flow of the Colorado River each year. But that cultural shift might prove even more difficult than reallocating water rights. Some opponents of water markets worry that when water is sold to the highest bidder, the poor could be priced out of an essential resource. “It’s a slippery slope,” says Mitch Jones, a senior policy advocate at Food and Water Watch, which has studied the effects of water privatization and commercialization. “You are setting up a system where ability to pay—wealth—is the determining factor in your ability to access water.” Jones points to places like Bolivia, where privatization has left some of the poorest people without access to water. Disque Deane thinks such concerns are overblown. He supports the idea of setting aside what policy makers call “lifeline supplies” to guarantee households some minimal amount of water. But he says if markets jack up prices on higher levels of consumption, that may not be a bad thing. Anyone who wants to fill a swimming pool, water a golf course, or use billions of gallons of Colorado River water to grow cotton in the Sonoran Desert, he says, should have to pay for that privilege. Last winter in Winnemucca, Deane parked outside a historic tavern called the Martin Hotel. He walked through its wood-paneled bar, beneath the attic speakeasy that kept the town lush through Prohibition, and into a private dining room in the back, where a local water official from the state engineer’s office was waiting. Deane peppered the engineer with questions. Who are the big water users? Could the water from the Diamond S Ranch be used on the adjacent property he was also looking to buy? How about up the road on another farm he owns? “There is some latitude there,” the engineer told him. Deane already knew the answers to many of these questions; his lawyers and staff had done their due diligence. He was more interested in how his questions were addressed, in feeling out someone who had the authority to stand in the way of his plans. Deane likes to see himself as a friend of farmers, someone who can get them the compensation they deserve for 100 years of homesteading. He said he shares their values. But when I described to him the water sales in Crowley County, he had trouble explaining exactly how some of his deals have differed—except to say that the farmers he worked with went into those transactions with their eyes wide open. Either way, there’s no denying that farms—and by extension farmers—are the target of his investments. Without them, water markets couldn’t exist. The idea of letting money alone steer decisions about water use can make even the most open-minded public officials uneasy. At a drought forum held by the Western Governors’ Association in late 2014, where Deane took part in a panel discussion, officials voiced a barrage of concerns: How would states maintain their authority over water if people sold it across state lines? How could markets balance the decisions of individual farmers with the collective impact on the broader community? Was water the property of rights holders to sell in the first place—or were water rights simply a license to use a resource that ultimately belongs to the public? The discussion then turned to a potential compromise: Perhaps the risks could be mitigated, someone suggested, by structuring temporary deals that allowed farmers to retain ultimate control of the water. 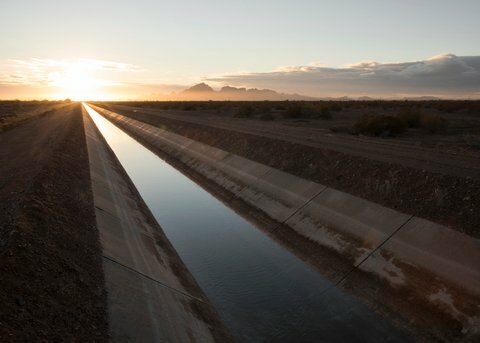 Thirteen years ago, farmers in California’s Palo Verde Valley—one of the state’s oldest farming areas—entered into an agreement with the Metropolitan Water District, the agency that serves Los Angeles, San Diego, and much of the rest of urban Southern California, to essentially lease a portion of their water. The model seeks to protect farmers even from their own financial temptation. In addition to an upfront payment of $3,160 an acre, the agency pays them $800 an acre for fallowing portions of their farms each year. It has also invested $6 million in the community, to counter whatever economic harm might come from the fields’ temporarily drying up. The arrangement is anything but a free market: To ensure that most of the water stays in the valley, the agreement limits the amount of land any one farmer can fallow in a year to 35 percent of his or her holdings. Still, farmers get added income without losing their rights to the water, and the Metropolitan Water District says Los Angeles and its other cities get reliable access to water, which helps them make it through drought years. Deane told me that if the political consensus leads to leasing water, it’s a solution he can get behind. His hope, after all, is that more-frequent trades, for lower transaction costs and smaller margins, will one day replace the blockbuster deals his company relies on today. Leasing is a perfectly good way to achieve that aim. But there was resignation in his enthusiasm, a tacit acknowledgment that much of what Deane and others have to say is correct: There is enough water in farming to move some of it without leaving the country to starve, and like it or not, the transfer of agricultural water to cities is going to happen. They can sell it, lease it—or have it taken from them. Design and production by Rob Weychert. 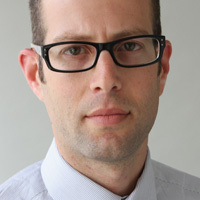 Abrahm Lustgarten is a senior reporter with ProPublica, where he writes about energy, water, and climate change.